Elliot M. Weinstein is a criminal defense attorney who represents people accused of serious crimes in both federal and state courts. Located in Boston, Mr. Weinstein has spent decades representing people accused of white collar crime, tax fraud, racketeering, RICO, drug offenses, and crimes of violence including murder. Elliot has been a dedicated criminal defense lawyer since 1974, and has remained committed to his style of aggressive, effective representation. With more than 40 years of trial experience, he has earned some of the most prestigious accolades in his profession including being listed in "Best Lawyers in America" since 1995 in the practice areas of white collar and general criminal defense and Martindale-Hubbell's AV preeminent rating. Among other honors, Elliot has consistently been named a Massachusetts Super Lawyer and Boston Magazine's Best in Boston. 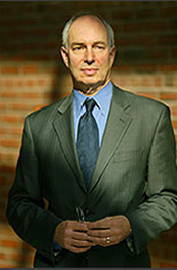 Elliot M. Weinstein is an experienced Criminal Defense trial lawyer who has been noted in the Boston Globe for his "low-key, meticulous style," along with his status as a "model criminal defense lawyer."